The Laugavegur Ultra Marathon is clearly the best known ultra trail race in Iceland. 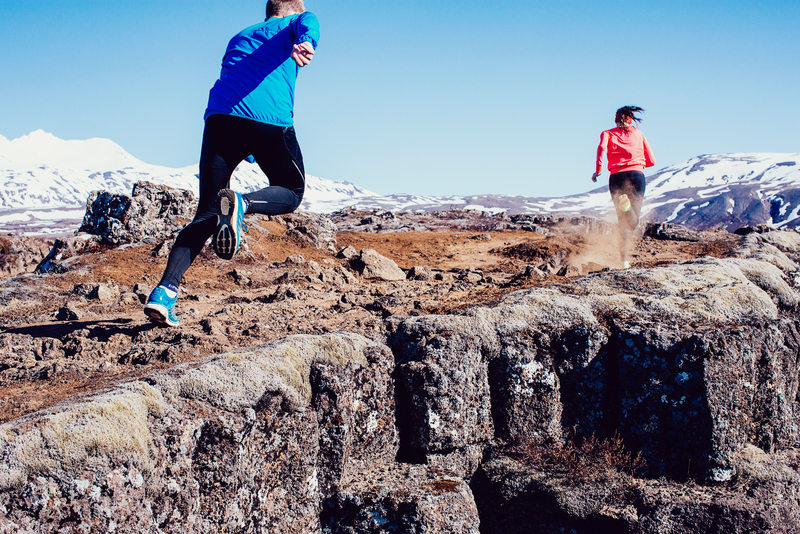 It is a 55 km trail run along one of the most beautiful and popular hiking trail in Iceland. It starts in the lava at Landmannalaugar and goes up and down hills and mountains, across rivers, past glaciers, over the sands and into the woods. The landscape could not be more varied. An experience not to be missed if you love the trails! The race is run in mid-July and had 361 finishers 2015. The most common way to get to the race is to take a bus which departs Reykjavik at 4:30 am and arrives in Landmannalaugar an hour or so before the race. Alternatively, you can arrive the day before the race in Landmannalaugar and spend the night in one of the huts there or in a tent. You will need to book a bed in advance as it is usually full during summer. People usually hike Laugavegur in four days, staying in cabins along the route. It is very well known and you will meet many people during the race, walking along the trail. The race starts at Landmannalaugar at 600m altitude and the first part of the race goes up to 1,100m height, often in snow and ice. From then on the race goes downhill and ends in the green and beautiful Þórsmörk. A detailed description of the course is in English on the official website. Unpredictable weather and various conditions of this challenging course make it hard to know what to expect and how to prepare. The average temperature in July at the Laugavegur is 7-8°C or 45-47°F. Race conditions vary wildly from year to year, and even from the start to the finish! One year it can be sunny and warm (relatively speaking, this is Iceland!) and the next windy and rainy. Or you can start in wet and windy conditions but finish with the sun shining gladly on happy but exhausted finishers in Þórsmörk. Trail conditions also vary a lot, especially during the first part where snow levels are very different from year to year. The race is well organized and the staff on the course extremely friendly and helpful. Buses leave from Þórsmörk after the race but another option is to stay a night in Þórsmörk and take the bus next day. Highly recommended in good weather! Þórsmörk has long been one of the main camping spots for Icelanders escaping the city and is regarded as one of the most beautiful places in Iceland. 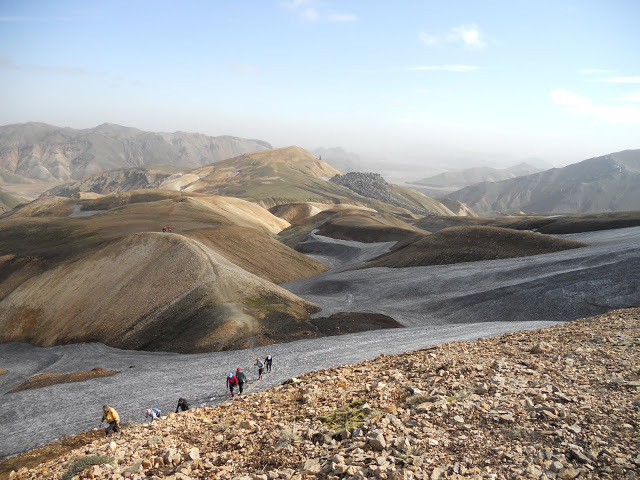 All in all, the Laugavegur trail race is a fantastic way to experience running in Iceland. 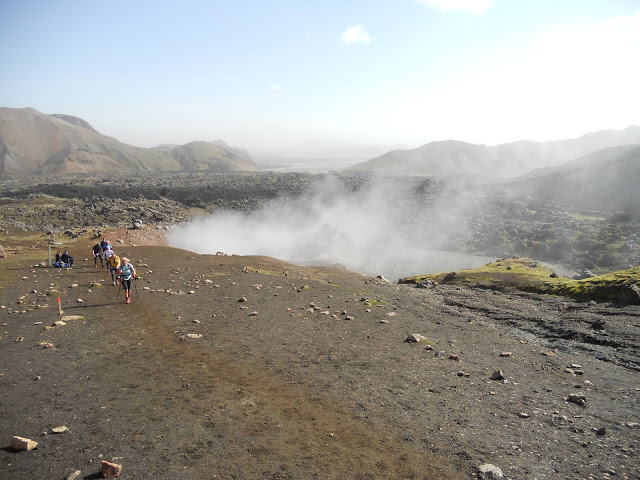 See our tips & tricks on the Laugavegur Ultra Marathon for more information. Cool! Where is race sign up for 2018? Hi Jens you can sign up at http://marathon.is/. The page is down at the moment bur registrations usually opens early in January. Everything about running in Iceland, in English. Races and events, running routes, running groups and and a whole lot more about running in Iceland.